We want to make all of our clients’ happy right? 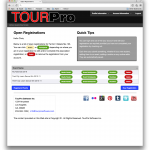 We believe that that starts at the registration process. 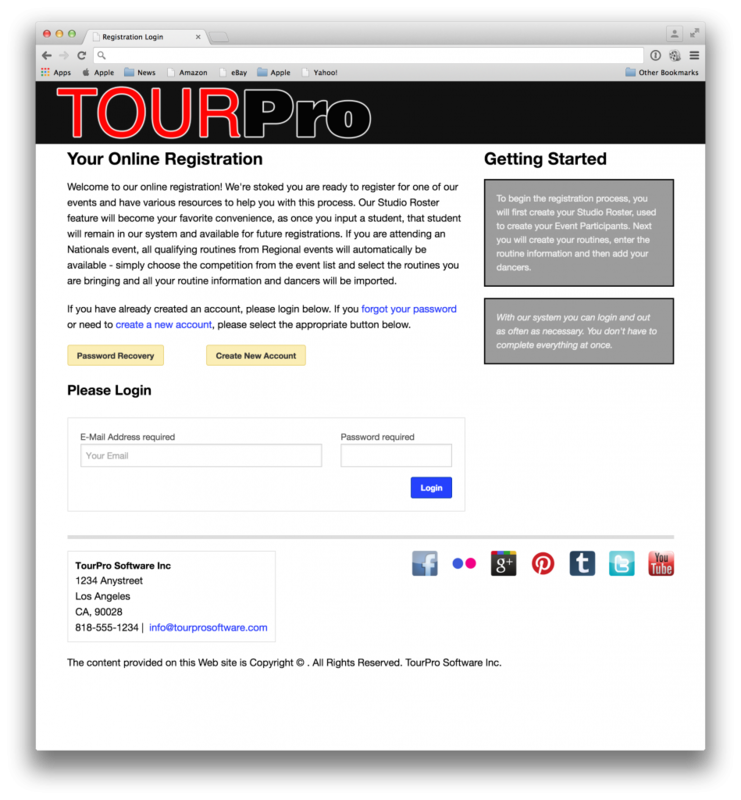 A smooth registration process leaves a great first impression and could be the reason a potential client picks you over your competition. 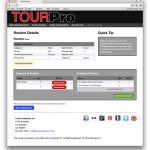 That’s why TourPros’ client registration portal has been written from the ground up to be fast, simple and responsive. 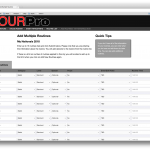 It doesn’t matter if your clients register on the Mac, PC, iPhone, iPad or Android device. 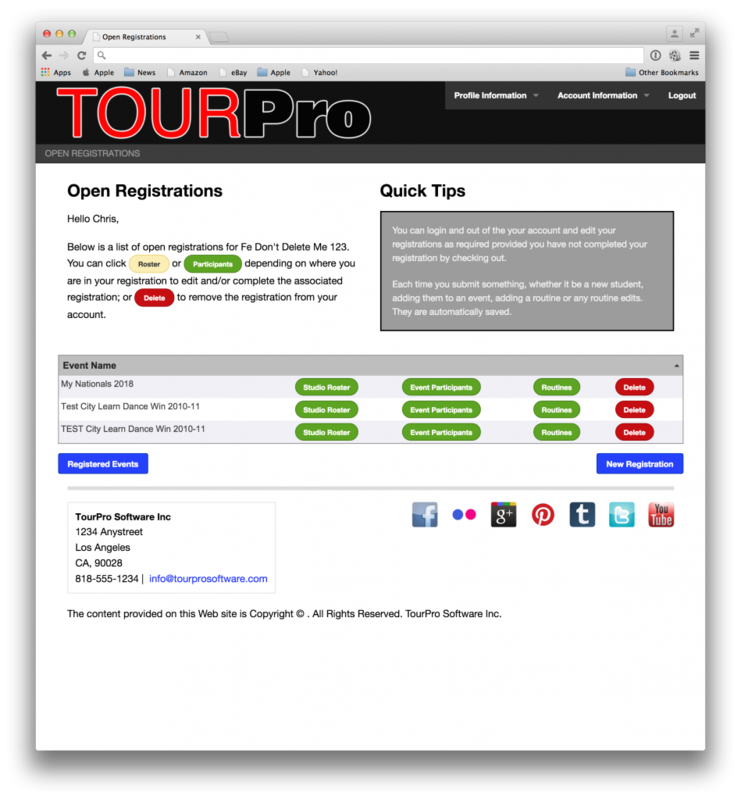 The registration site automatically adjusts based on device. 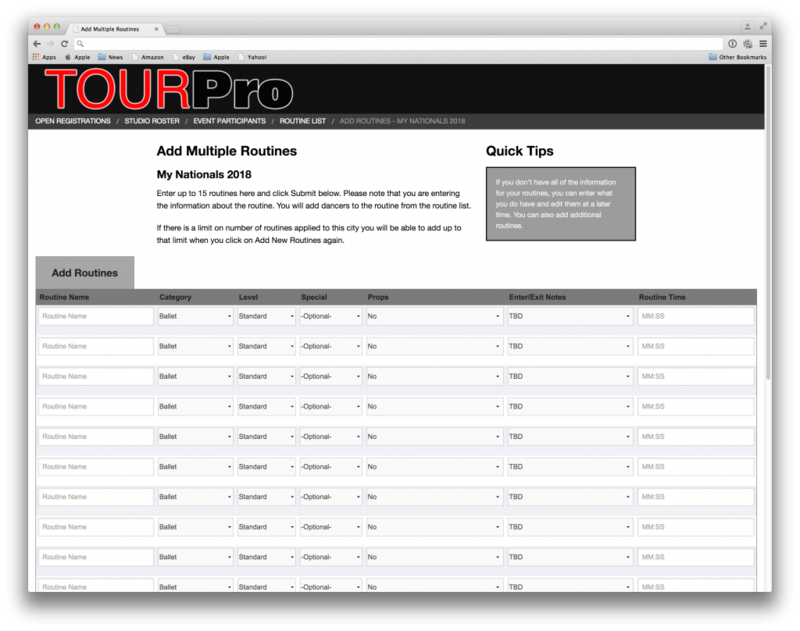 If your client starts the registration at the office, they can pick it up later on their iPad from the comfort of their own couch, exactly where they left off. No one wants to input data all day that’s why we believe that once is enough. 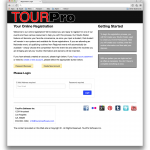 Your clients create their rosters once. They can add to it at any time. Once they’ve built their roster and combination of attendees (Students, Teachers and Observers) can be added at once simply by checking those that are attending and choosing “Add to Event”! If they make an adjustment to the attendees name or date of birth not only is it seen immediately on every report and screen following but every routine automatically updates as well. Nothing is more annoying than organizing 500 CDs. 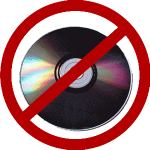 CDs get scratched, mislabeled and lost. 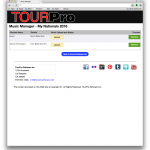 That’s why we have integrated a high-speed easy to use Music Manager system integrated right into the routines page. 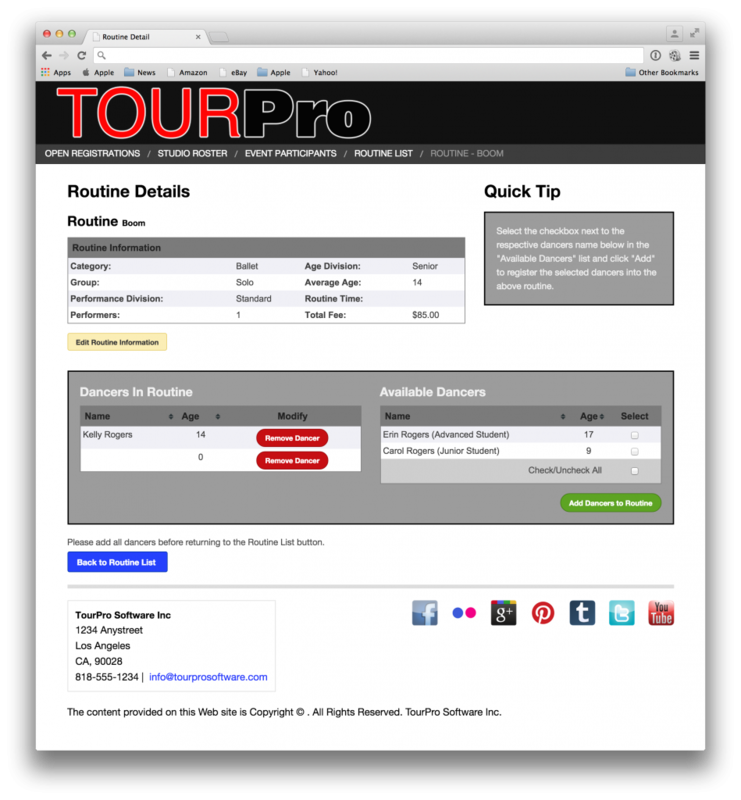 As your clients add routines to their registration a single click will present them with a list of all their routines and an upload button. They can upload 1 or 1,000 songs to a safe and secure storage system in the cloud that only you have access to. 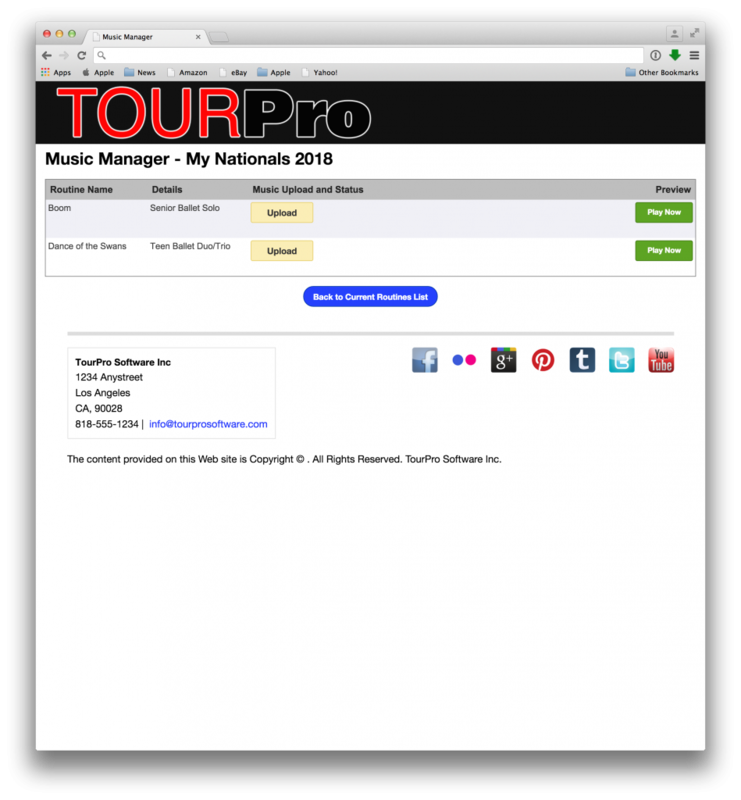 TourPro tracks all of the music no matter what happens to the routine and it’s never lost.